One of the few big name brokers from Australia, this up and coming company has garnered a lot of attention and respect in a short time, since their start in 2014. Except for the lack of access to USA traders, this broker delivers on many fronts. The easy to use platform, a clean and professional site, and a secure and regulated business, makes this one of the premier options in the world of online binary option trading brokers available. 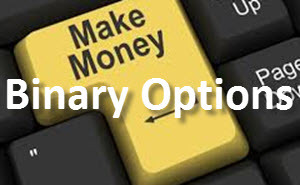 If you are a newcomer to the game of binary option trading, HighLow´s demo account is the perfect place to start and gain experience before risking your money on basic first timer mistakes. Opening an account in this user friendly system is a breeze, allowing you to become a member quickly to get you on the way to your winnings within minutes. After you spread your wings on the demo and feel confident, go ahead and make your live account and start your HighLow adventure. Once you have set up your account, you can start trading with as little as $10, through the HighLow website or mobile app. There are several features available for you to utilize, to aid you in investing your money. The options for depositing money into your account are not as varied as their competitors. With ability to deposit money through Wire Transfers, Credit Cards, and Neteller the money shows up in your account immediately after you process the payment. This speed of transaction allows you to start trading within moments. When it comes to withdrawing your winnings or balance, you have only the option of Wire Transfers, and Neteller. This does seem limited, but HighLow boasts one of the fastest withdrawal processes in the industry. When using Neteller you can receive your money immediately, while a wire done on weekends can take up to Monday while a withdrawal made in the weekday goes through on the same day. HighLow uses MarketsPulse for their trading platform. This platform gives the traders, a smooth and problem free trading environment. The platform being available in only English and Japanese is neither, a positive nor a negative. The ability to pick your own expiration time to your binary option allows you to make moves at the speeds you want and increase your gains even faster. There are 4 different types of binary options products at HighLow, these 4 are: High/Low Trading, Spread Trading, Turbo Option, and Turbo Spread Trading. For a trade to happen, you must spend a minimum of $10. The maximum for a trade at 1 time is no more than $2000. This allows you to decide the perfect margin of risk you want to take on. Of course, all risk comes with chances for far greater success and profit. HighLow provides customer service through email, or with over the phone customer service agents. This and many other reasons make HighLow a good broker for all traders outside the US. So once you are ready go their website and or app and get started.